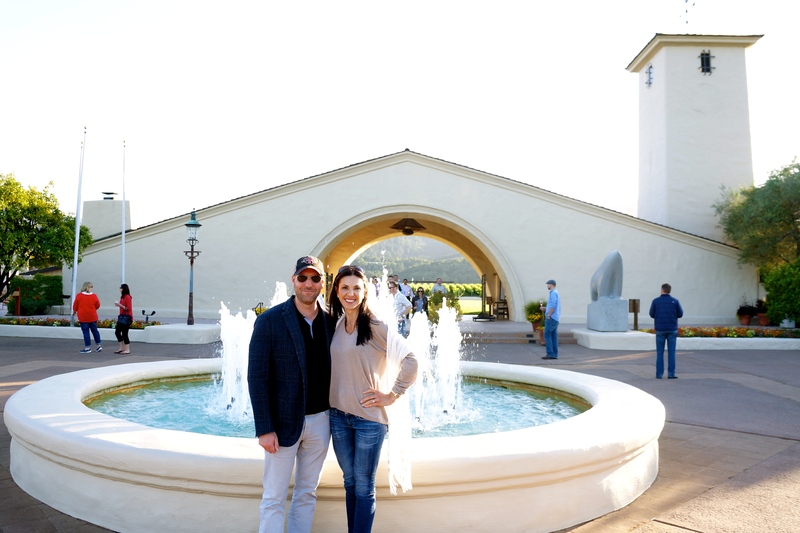 We started out our tour of Napa Valley in the Carneros region south of Napa, CA at the Truchard Vineyards. It was warm, yet breezy…perfect springtime weather! 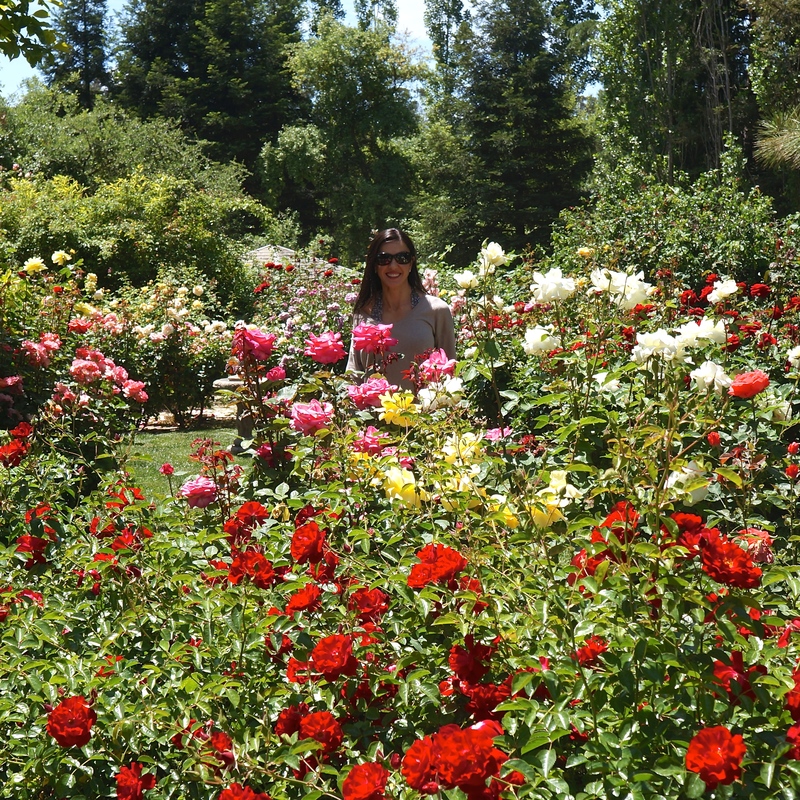 What a beautiful welcoming rose garden to Truchard’s vineyard. Huge blossoms and oh so fragrant!! I wish I could have “bottled” up the scent. 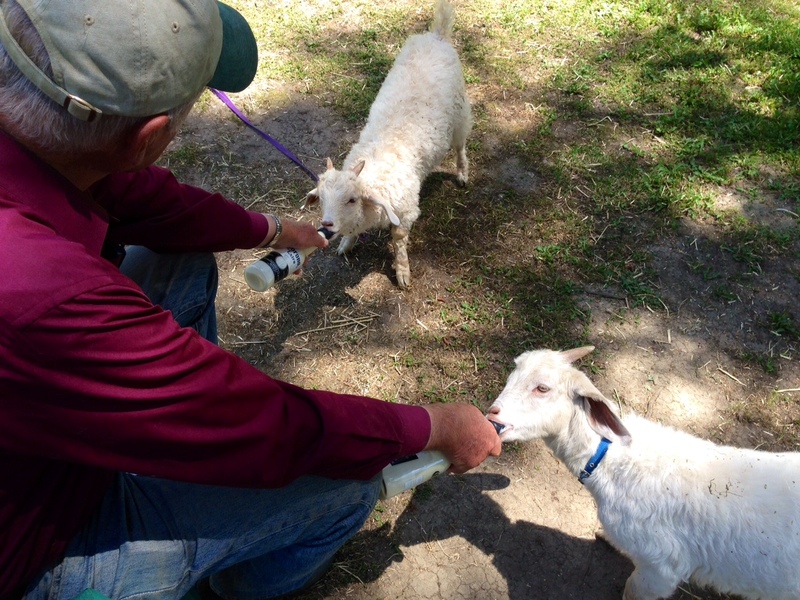 So adorable seeing these little baby goats get bottle fed by the vineyard owner, Tony Truchard. Reminds me of when I was growing up on the farm in in Missouri…that’s for another post! Did someone say “swirl time”? And so it starts: the one of many tastings! This swirling picture is with my iPhone 5…You’ll soon notice how much and how many pictures I take. 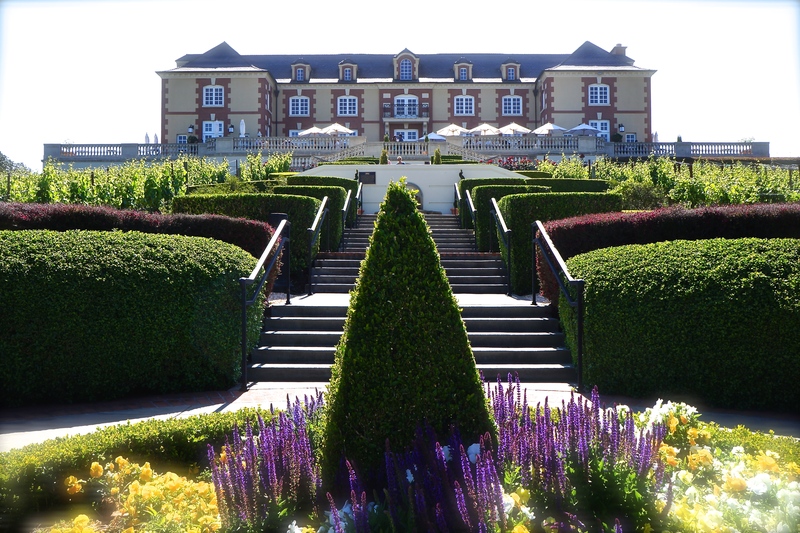 Our next stop was Domain Carneros for some tasty bubbly…Great views from the top! We didn’t tour the facility, just enjoyed their views and bubbly. 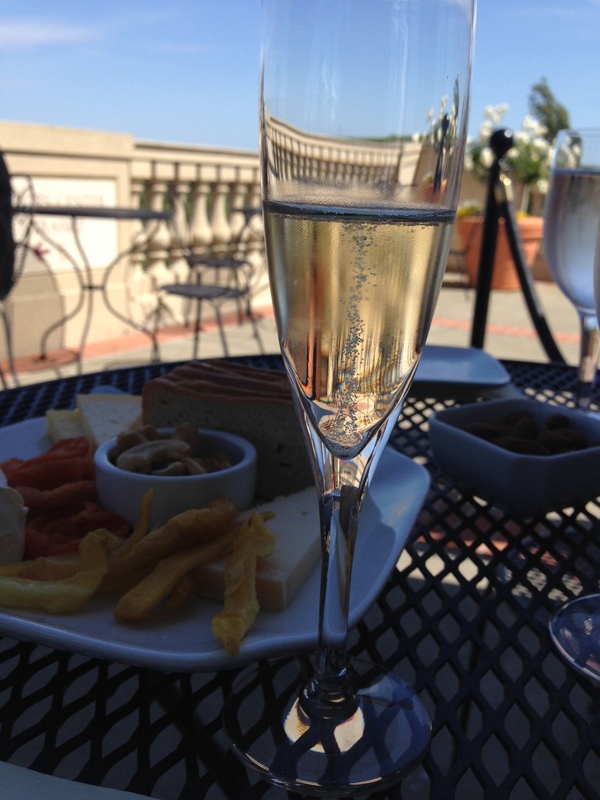 This was a cool place to relax and enjoy a light appetizer with some bubbly. 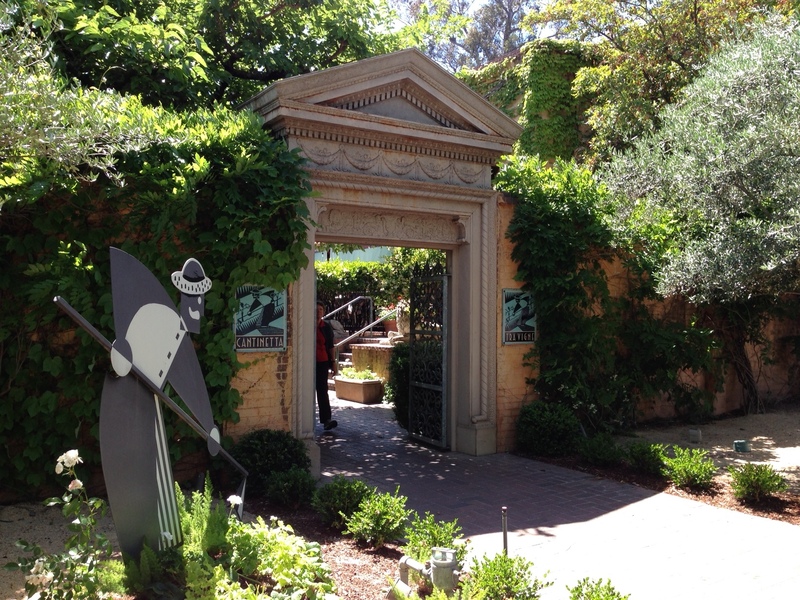 Kenny and I revisited the very first winery we toured 17 years ago on a quick day trip to Napa Valley. It was better this time around since I was NOT pregnant!..about 5 months and much younger 😉 We did the “Twilight Tour” which was a very small group with a knowledgeable and funny guide. 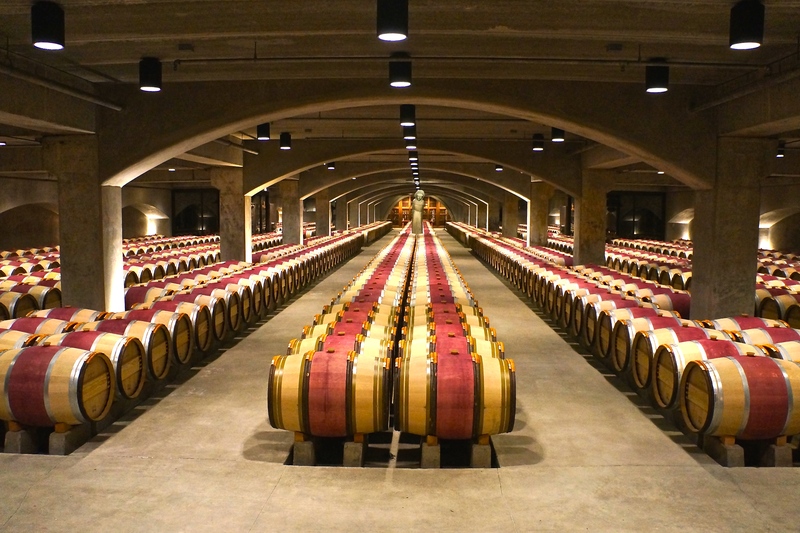 It was impressive to see such a well maintained cellar with beautiful new French oak barrels (from France of course) that are only used once! 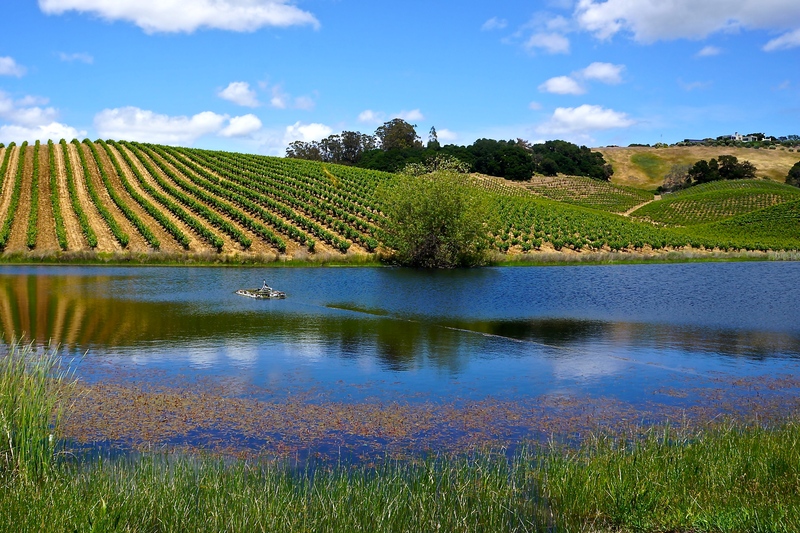 I loved driving up the Silverado Trail to St. Helena…What a gem of a town! 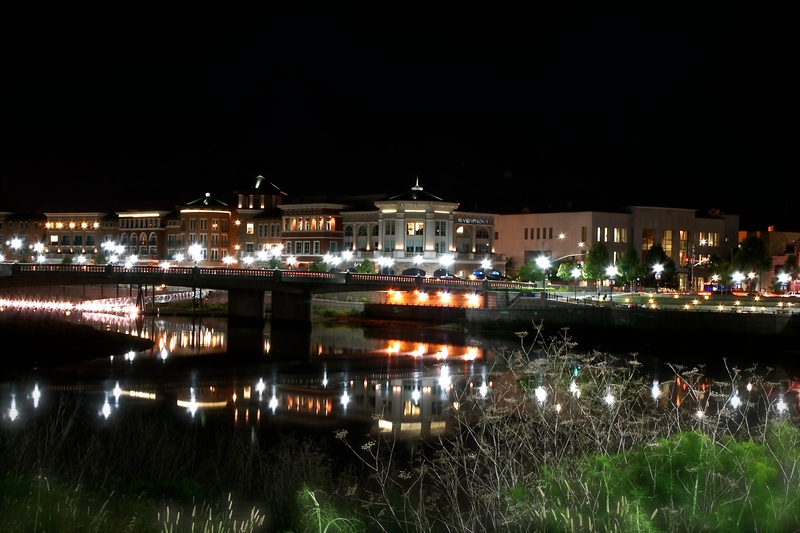 This is the town to stay in…though next time for me! I discovered Orin Swift wine a couple of years ago while I was shopping for my hubby’s birthday party. I was immediately drawn to the unusual label. From that first bottle of D66, we’ve been huge fans of the unique blends! This is a rather cheesy photo of me, but I can’t help it! 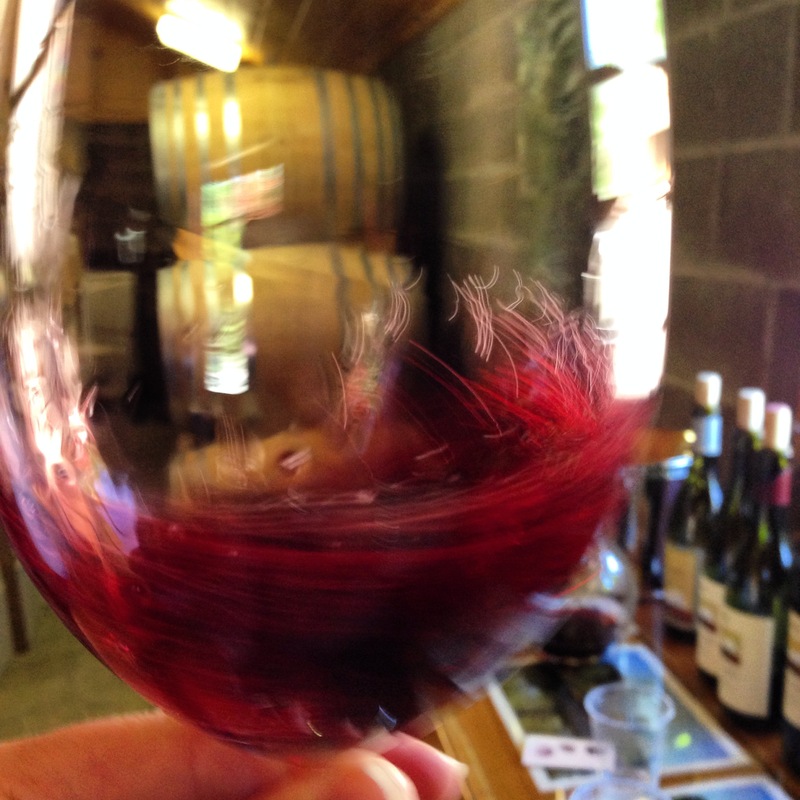 It was exciting to taste several other Orin Swift wines that I’ve not had the opportunity to try yet. And yes, I’ve got a few bottles at home with more on the way! 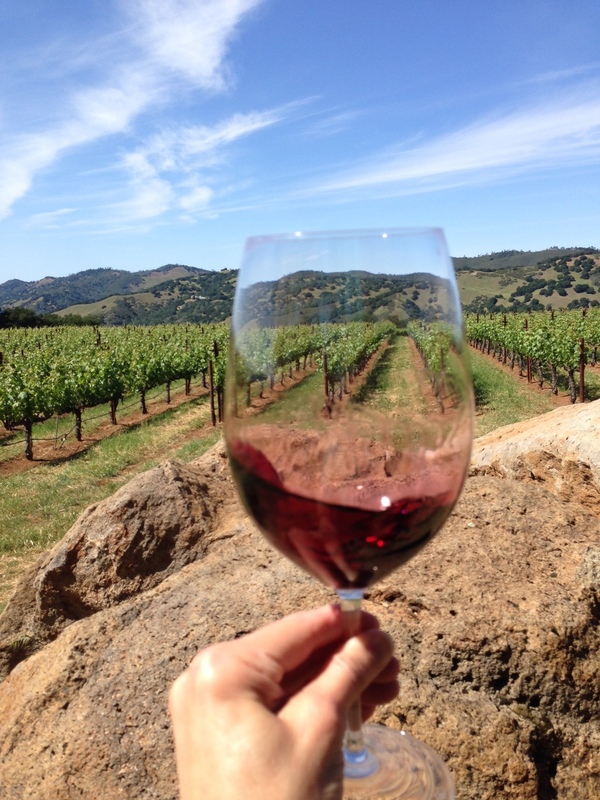 We are one of only 500 Equinox Wine Club members…pretty special! We’ll receive two shipments a year, one in the spring and the other in the fall. Each comes with six bottles of a unique blend by David Phinney that can’t be found anywhere else. EXCLUSIVE!! Yeah, I bought into it 😉 I think l can trust David with two tasty surprises a year! OK, I was pretty happy here! I liked the creativity for finishing the floors at the Orin Swift tasting room in St. Helena. They used old Chinese books! 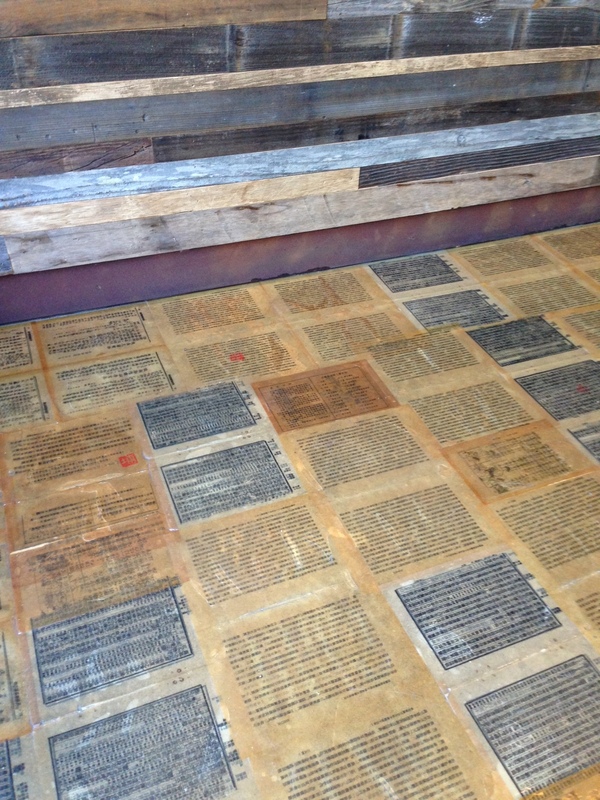 Interesting flooring…Made out of old Chinese book. 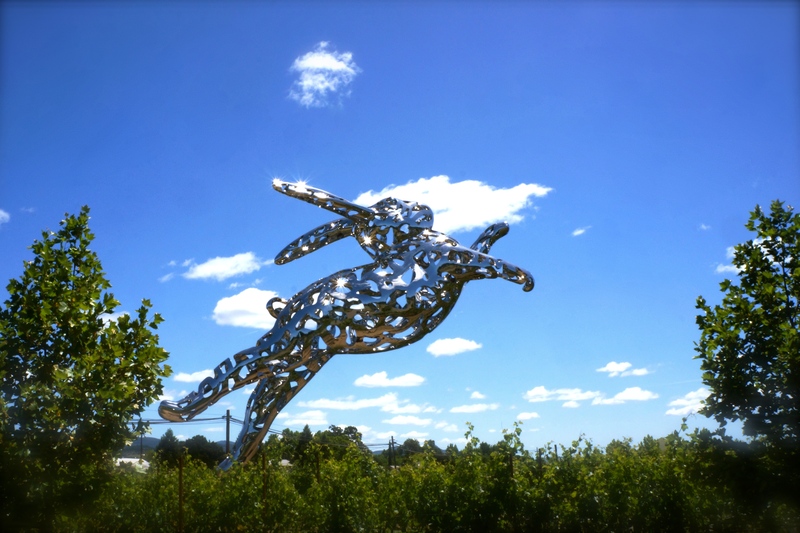 This shiny bunny made for a cheerful entrance at Hall Vineyards in St. Helena. Camel at Hall Winery! I guess I can cross that off my bucket list…Not really. Morocco, I will be coming someday! 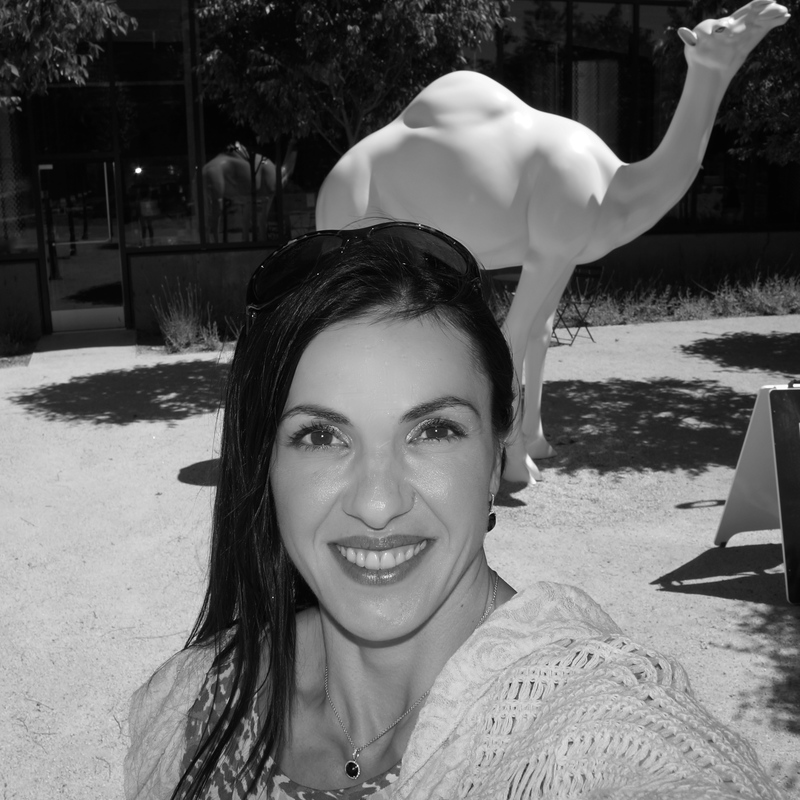 Several unique artwork on this property…from huge camels, to colorful sequined wall art. 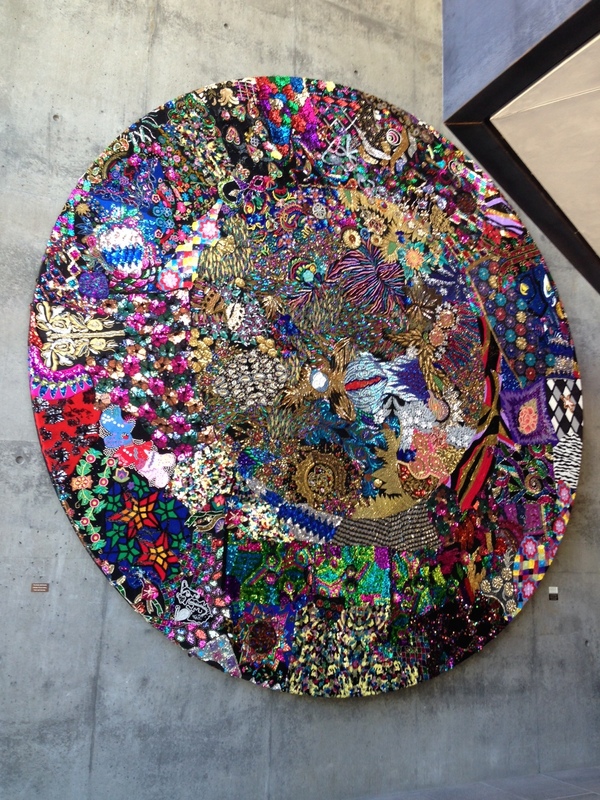 What detailing on this sequined wall art! 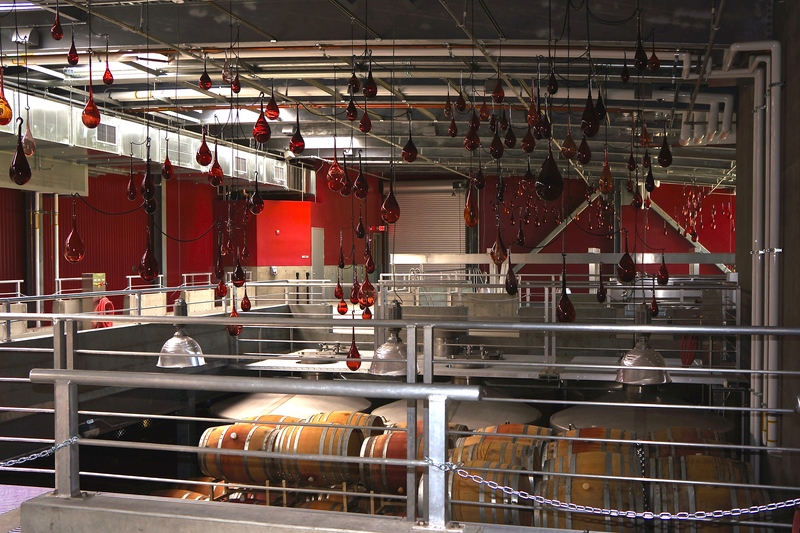 Lot’s of “drops” of mouth-blown glass hanging from the ceiling… Both Kenny and I enjoyed their wines and have already received a shipment. 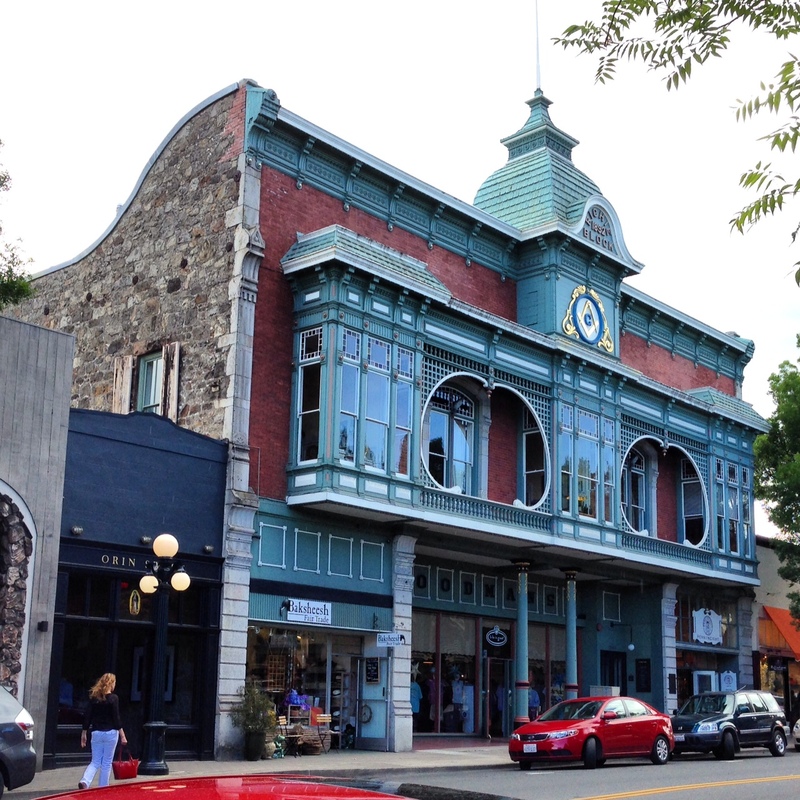 We enjoyed a quiet walk through the town of Napa…and I was happy to capture this neat view. 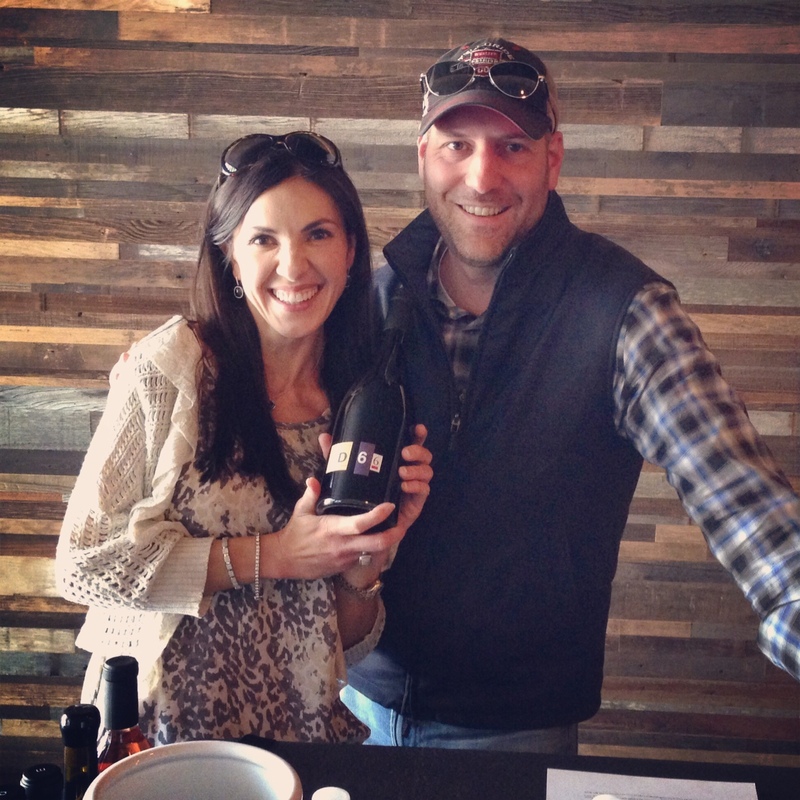 Mother’s Day morning at Newton Vineyards…We were up and at it be 10:00am! We drove up a narrow, private drive for a ways until we finally reached the top and were very pleased with the breathtaking views of the valley below! 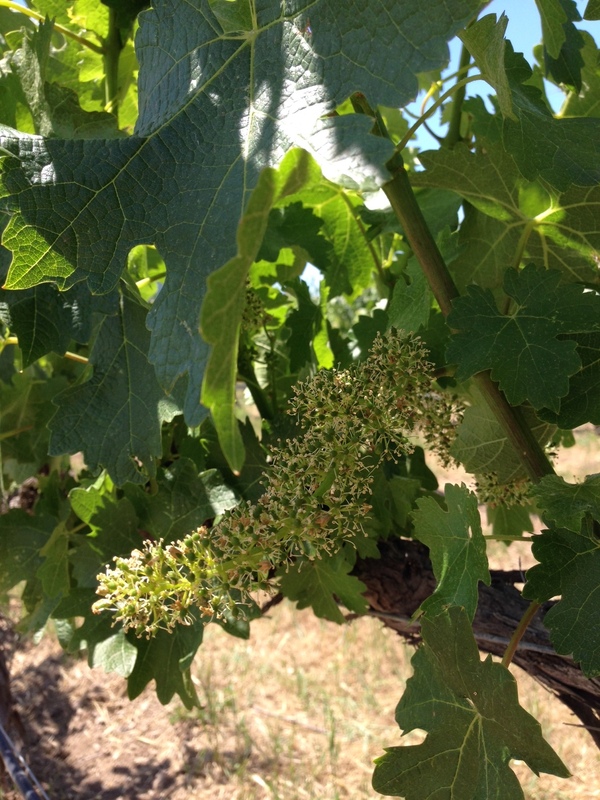 What a great time to see the vines blooming all around us too. 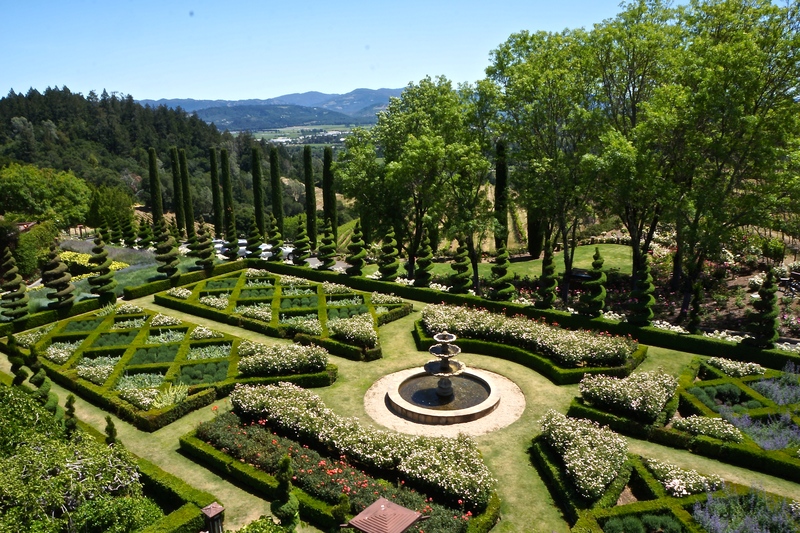 OK, this garden was unreal! The meticulous detailing was just unbelievable!! Maybe someday I’ll have one of these…on second thought, I’ll just have to come back and enjoy this one!! We took a break from touring and enjoyed brunch with probably some of the best homemade mozzarella at Tra Vigne. Our finally tour was at Chappallet Vineyards. It was much warmer once we drove down into the valley. Therefore, more refreshing wine! Their Zinfandel is great, by the way!! All in all, it was a successful relaxing weekend in Napa! 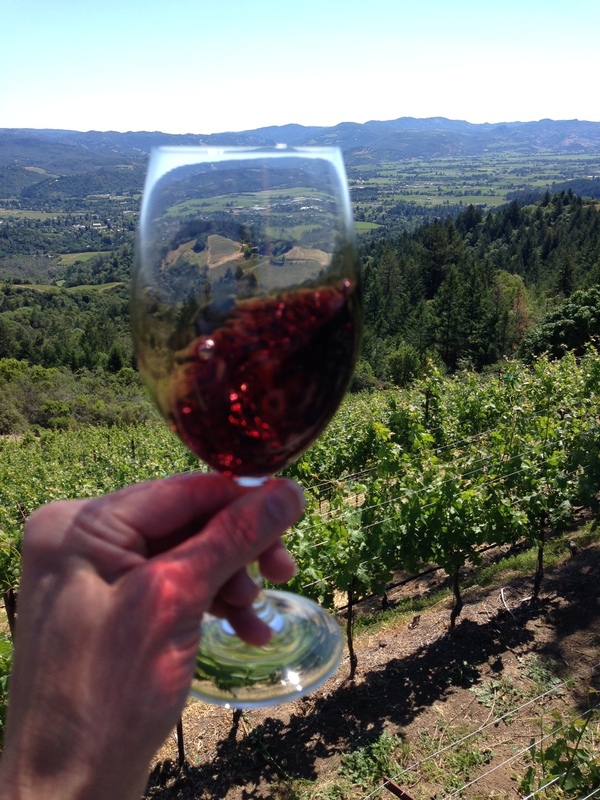 We discovered some new wineries and appreciated others even more. 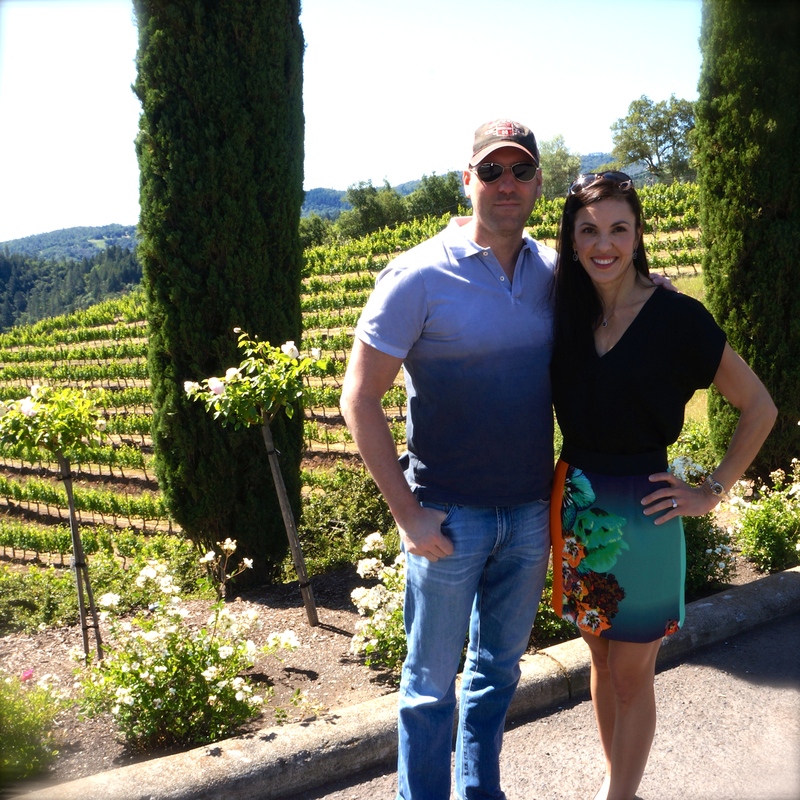 The food was fantastic as was the opportunity to take in some of the beauty of the Napa Valley! Until next time Napa! Cheers! !